Continental Breakfast: 8:15 a.m. – 9:00 a.m.
Join us for some innovative insights into how behavioral science can be used to have a positive impact on fraud risk. Then join a group of fellow anti-fraud professionals in brainstorming innovative ideas and then have an opportunity to present your idea to the attendees and judges. We want to keep a level playing ground for this friendly competition, more specific details about the brainstorming topic isn’t being shared ahead of time. 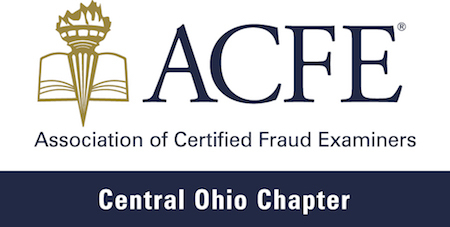 Apply for or renew your Central Ohio ACFE Chapter membership within the Membership section of our chapter website. You do not need to be an ACFE member to join our chapter.